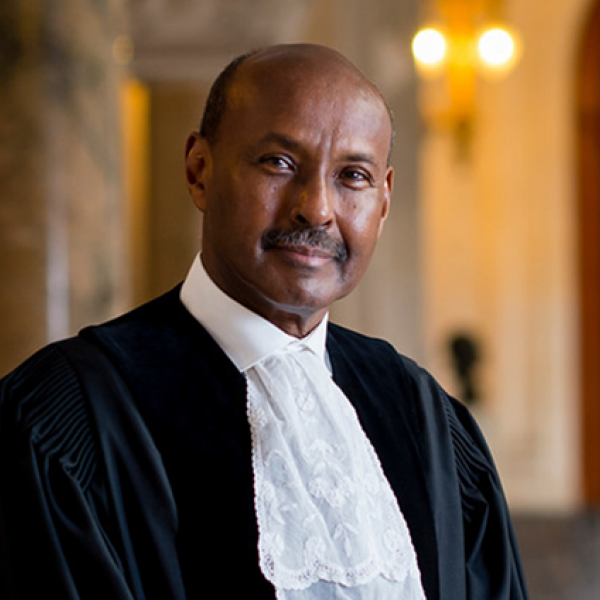 Judge Abdulqawi A. Yusuf is the President of the International Court of Justice, The Hague, The Netherlands. He was elected as Judge to the Court in November 2008 and re-elected in November 2017. He was Vice-President of the Court from 6 February 2015 to 6 February 2018. President Yusuf is a member of the Institut de Droit International, a former Chief legal counsel to various intergovernmental organizations, including UNESCO and UNIDO. He is the founder of the African Institute of International Law (AIIL), Arusha, Tanzania and of the African Yearbook of International Law. He is the author of numerous publications on various aspects of international law. He holds a Ph.D. in international Law from the IUHEI, Geneva.